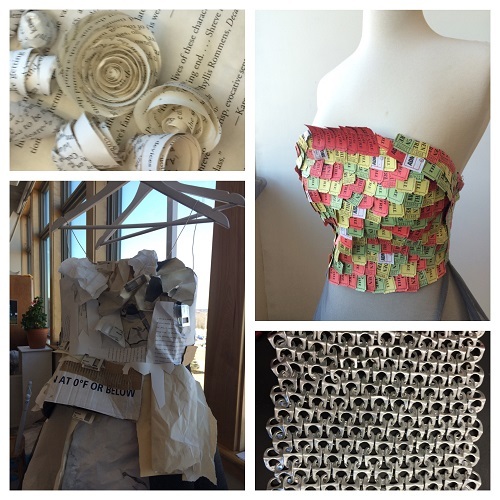 The University of Maine at Presque Isle’s Studio 923 Art Club will be hosting its very first Trash to Fashion Show on Earth Day, April 22, 2016. The show, to be held at 6 p.m. in the Auditorium in Wieden Hall, will feature the fashion design skills of students and community members in a runway show. All creations are made exclusively from recycled materials. The public is invited and encouraged to attend this event; there is a suggested $5 ticket price. 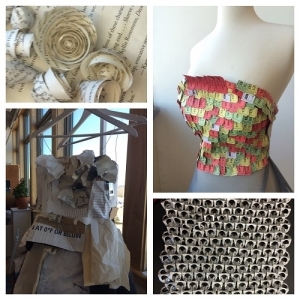 Studio 923 is hosting this unique fashion show in order to raise awareness about the importance of recycling and caring for the world we inhabit. University students and community members have worked during the past two months to gather recycled materials and create fun, one and only pieces that truly embrace the beauty of taking care of the earth, student organizer Emma Ruff said. The night will feature many unique takes on personal interpretations of connecting fashion design to Earth Day. Studio 923 has encouraged all designers to truly embrace the process of the project by considering their carbon footprint. A fun way to remind the public of the importance of recycling and caring for the earth, Trash To Fashion promises to be a truly spectacular event. The public is invited to take part in this inaugural launch of a fashion showcase that will become a yearly celebration of student and community member talent. For more information about this event, please contact Ruff at 207.762.0697 or emma.ruff@maine.edu or Hyrum Benson at hyrum.benson@maine.edu.